Artemis Health | What Are Your Medical Trend Drivers? Do you ever feel like you spend too much time on the small, urgent tasks that come across your desk? Wouldn’t you rather focus on an important, impactful project? Who wouldn’t? It’s a common complaint from just about everyone from front-line managers on up. Sometimes those small tasks add up to a larger initiative, trend, or impact. Analyzing benefits data is a good example of this. Some 41% of large employers have made progress in enhancing employee well-being according to a recent study by Willis Towers Watson. How do they know? They find answers and impact in their data. Maybe they’re measuring health outcomes. Maybe it’s biometrics data. Perhaps they’re seeing a decrease in absenteeism and subsequent increase in productivity. By analyzing each little metric and piece of the puzzle, they’re putting together a whole picture that shows a boost in employee well-being. The lucky employers have an in-house analyst, a talented consultant, a data partner, or all three to help with this. If you’re not able to do an analysis like this, you’ll have a hard time tracking trends like medical cost drivers. With a data partner like Artemis, this analysis is quick and easy, taking about an hour to put together in our tool. Let’s look at an example we created using our sample data. We calculated the year-over-year medical spending for both the employer and the members. The data showed that employer spending had increased by 2% compared to the prior year, while member spending increased by 1% in the same period. For some employers, this wouldn’t be a big surprise or a cause for concern. Others, however, might want to look at member contributions to costs and adjust for next year. Next, we calculated the percentage of members utilizing their medical plan in the previous and current periods. In this data, 84% of members had some utilization of their medical plan in both periods. This is a metric that you’d expect to remain fairly steady from year to year unless there were big changes to your member demographics or out-of-pocket costs. For example, if you had a large cohort of employees reach retirement age and enroll in a different health plan, you may see utilization drop as your average employee age drops with millennial new hires. In both admits per 1,000 members and length of stay, the trend is positive. Fewer patients are being admitted to the hospital compared to the previous period, and they’re being released sooner. We can also look at specific conditions within the population and how they’re trending. In our sample data, pregnancy and childbirth is the #1 condition driving in-patient admissions. That’s actually good news, as it’s an appropriate condition for hospital admission. However, the third most common group condition is mental health disorders. If this was employer data, they may want to look at better support, coverage, and wellness programs for those with mental health conditions in their population. For this sample population, ER visits are trending up. These folks are visiting the emergency room more often than in the previous period. They’re mostly seeking help for conditions that really should be treated at the emergency room, like chest pain and lower right quadrant pain (often a sign of appendicitis). But things like headache and urinary tract infections could be covered by telemedicine, urgent care, and primary care visits. If this were real employer data, we’d recommend educating members about their other avenues of care. Do you have this kind of insight into your medical trend drivers? Are you able to see which costs are rising and why? If you’re working with a data partner, you probably have easy access to this kind of information. 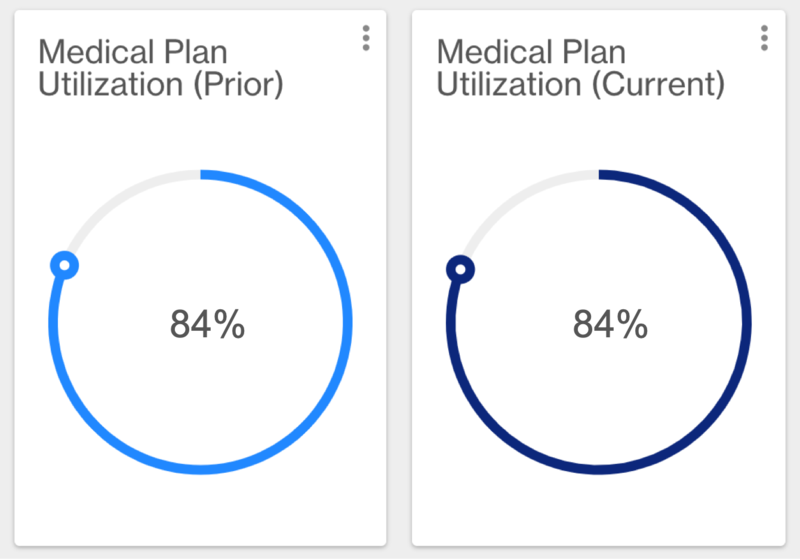 If you’re working with a great data partner, you’ll be able to pull a report like this together easily, create clear visualizations like the ones above, and share it with stakeholders from your organization, your consultant, and more. Would you like to learn more about how Artemis can help you keep an eye on medical, pharmacy, and other benefits trend drivers? Schedule a demo with our team!